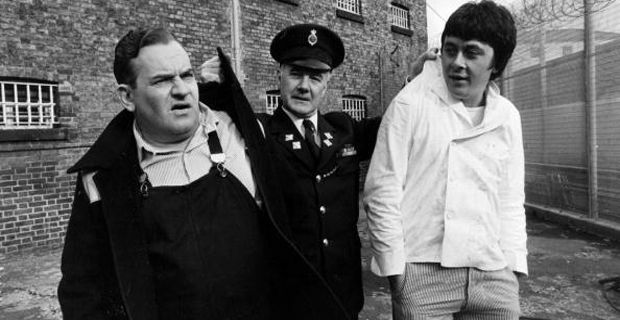 In proof if ever it was needed that the prisons system has come a long way since Porridge, Brixton Prison is to open a restaurant for the public. Up to 100 people will be able to feast upon dinners prepared by carefully selected prisoners when the restaurant opens in February. Tables will be on reservation only and diners will have to undergo the kind of security checks not usually associated with an evening out. Once inside they will be greeted by a "predominantly British" menu, serving dishes like slow-cooked lamb and pea and mint risotto. While this is the first venture of its kind in London, HMP Cardiff and HMP High Down have had restaurants for a while now, with HMP Cardiff's Clink Cymru restaurant already taking bookings for its four-course gourmet set Christmas dinner, priced at £39.95 per person, so if anyone in Cardiff fancied grilled darne of sea trout with sorrel butter and chicken liver parfait with balsamic onion relish and melba toast, just head up to the local nick. The Clink Charity who are behind the project, hope to open a further seven restaurants in prisons around the country over the next four years. The charity's chief executive, Chris Moore, said "HMP Brixton is undergoing a regeneration project and was looking for an organisation to work with to develop the building into an opportunity for rehabilitation." Edmond Tullett, the Brixton governor, said: "The restaurant will provide an unforgettable experience for customers and an unrivalled opportunity for prisoners to acquire marketable skills that will lead to local Jobs and provide a pathway to a better life." Prisons Minister Jeremy Wright said: ”This is a great partnership, which gives offenders the chance to learn skills that can help them secure employment once they leave prison.